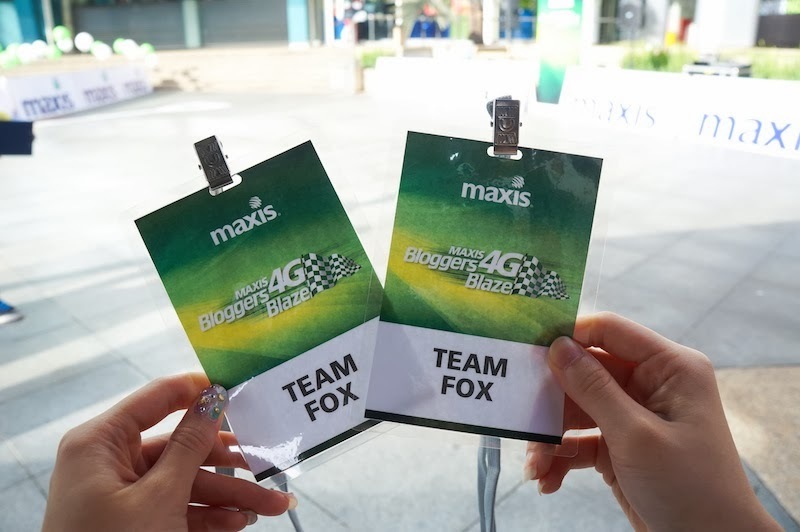 A believer of Maxis 4G power network after I experiencing at Maxis4GBloggersBlaze event last Sunday. 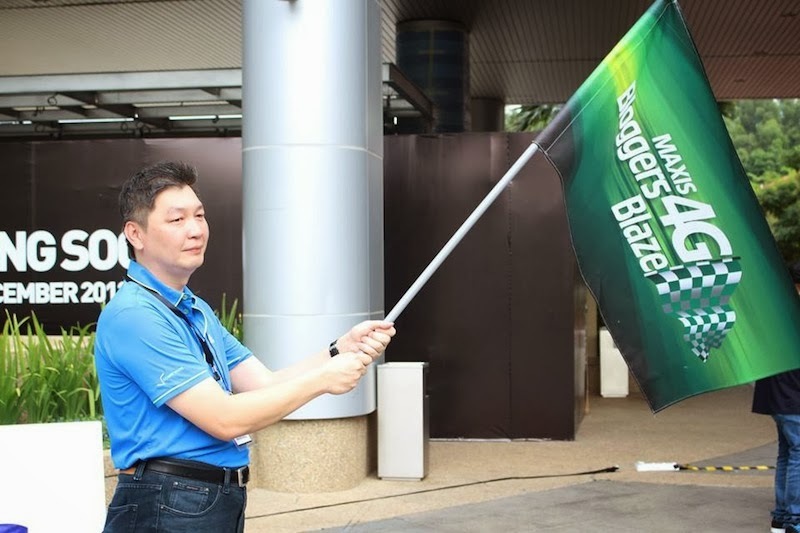 It was a race which 30 bloggers were divided into 10 teams and each team would need to complete 4 challenges with the help of 4G internet provided on the device. 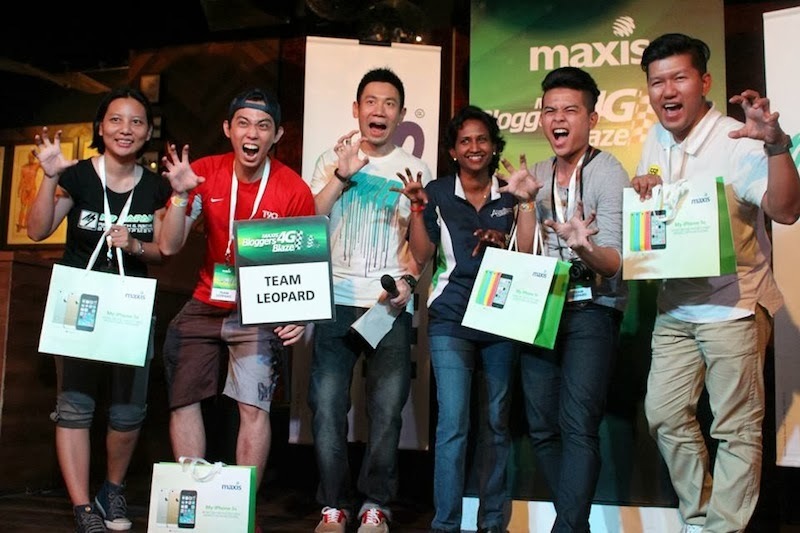 Two teams with total shortest time to complete all challenges win big prizes like devices and latest gadgets. Met my friendenemies of the day! First challenge is to run, find balloon with right barcode that instructs you to the next challenge's location. But the fastest team to go to the next location doesn't mean you will win this race. Let's read on and find out more about the next challenge Team Fox experienced. Second challenge, all team members must complete rock climbing task within 6 mins in the meantime take the flag down and put it back to the original position. I fell down while trying to swing my body to the next block, my arms have not enough strength :/ Our team failed to complete this challenge and was given a penalty of 20 minutes in our total complete time. Nahhhhhh! 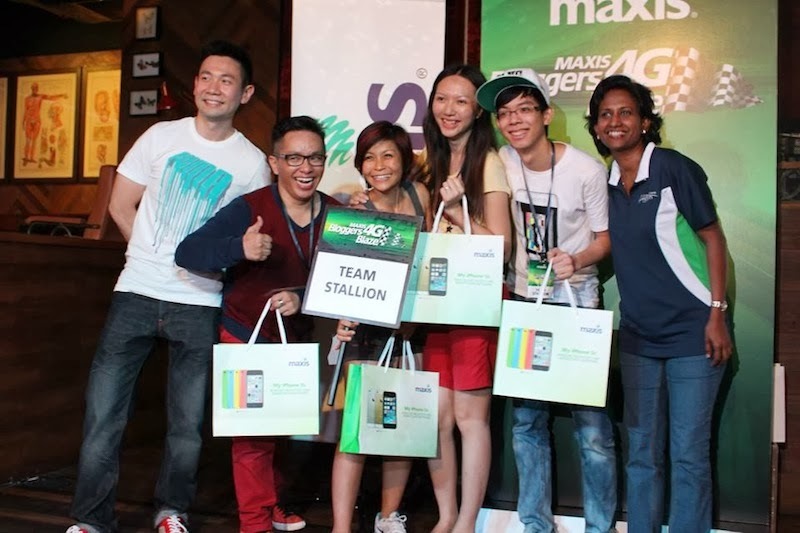 Though we failed, we still managed to get the barcode for the next challenge location - Sunway Lagoon theme park. 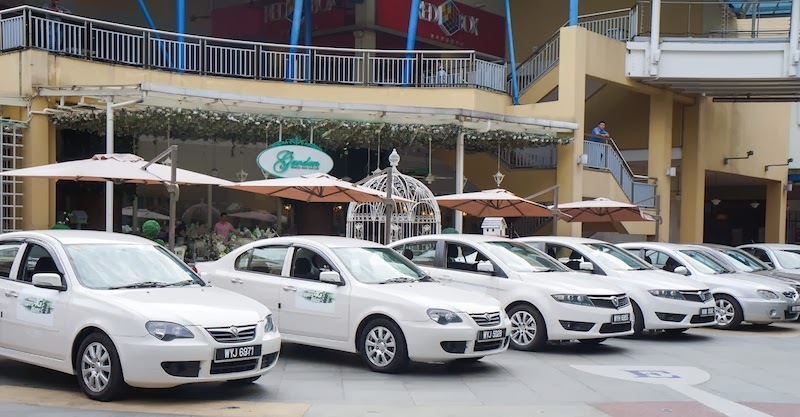 I think the tough part of the challenge was to find the correct parking as we had have to go down to the lowest level. 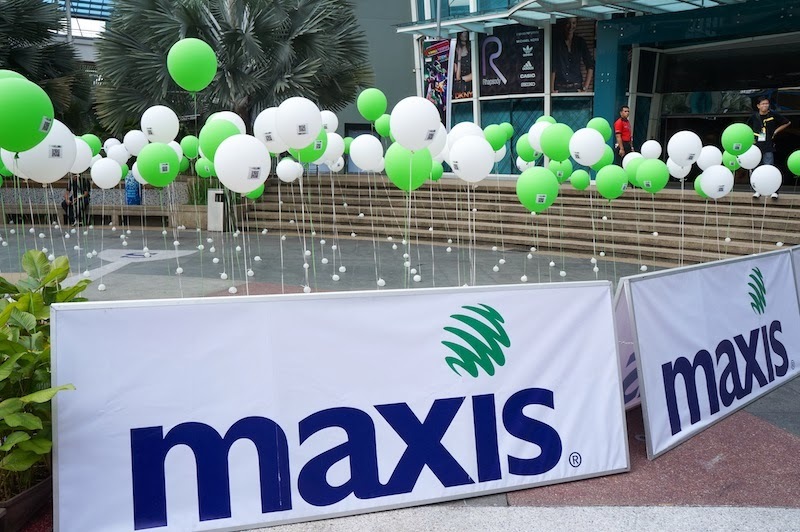 With doubt, we walked towards the theme park and of course we did find the Maxis booth here. 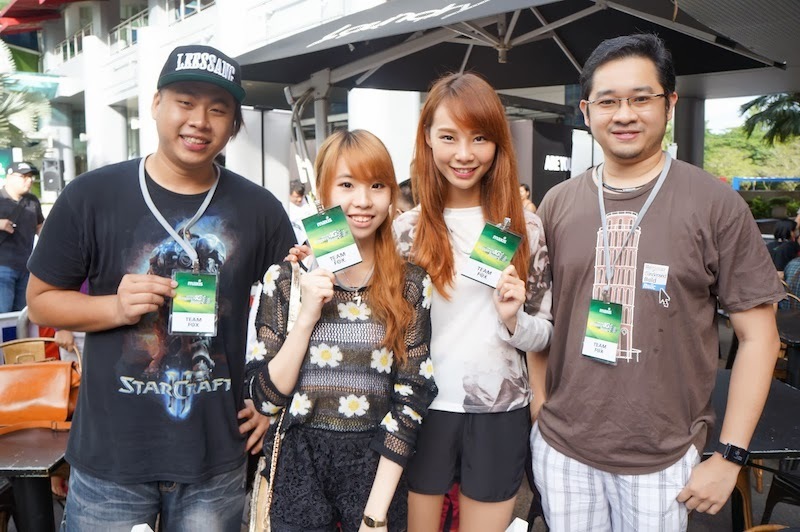 We were asked to complete car racing mini games (i assume as a warm up), then play go-kart. We didn't have any pictures of this challenge because we were dead knackered after rock climbing. To restore our stamina, we packed Burger King meals and ate inside the car while on our way to the final challenge back at the Curve. 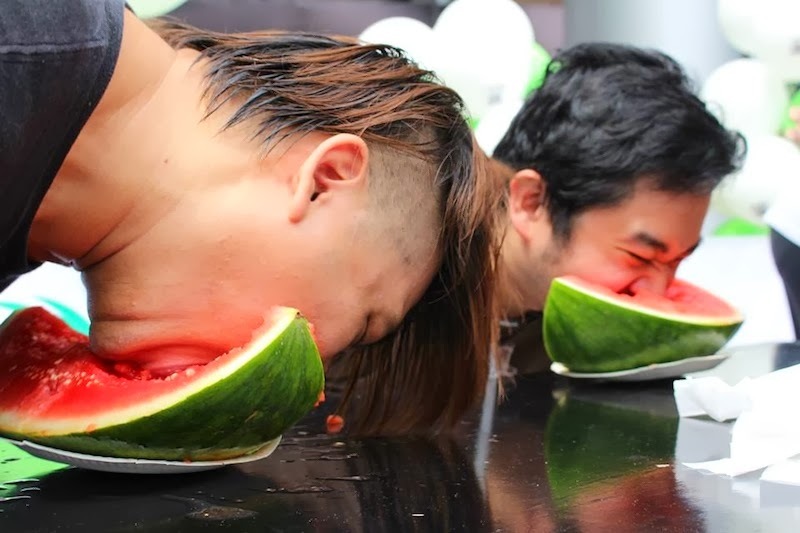 The final challenge, eat watermelon in your fastest way. 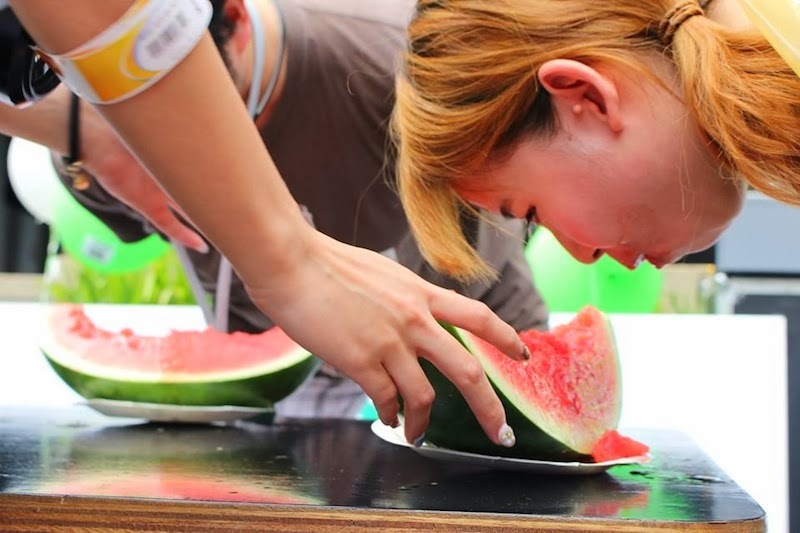 Only 3 members were required to eat watermelon, and team leader would need to help them to hold the watermelons in positions that were easier for team members to eat. Surprisingly Chanwon was the fastest one among Team Fox to finish the watermelon. A round of applause to all 3 members, you guys awesome. 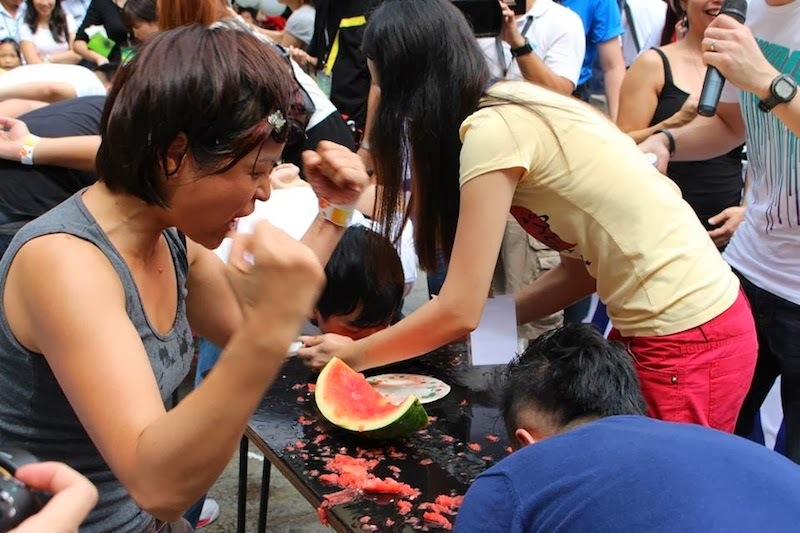 Becky from Team Stallion was fierce crashing the watermelon. 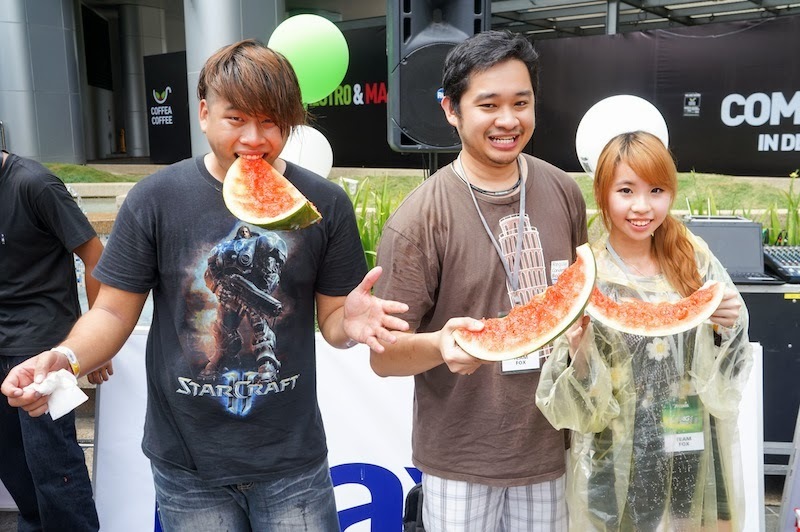 Her powerful team spirit made her team the fastest one to complete in the 2nd batch of watermelon eating challenge. Totally a magnificent eating skill, you can check out their video below.